Partial Charge - 50% of Full Stay - If cancelled within 30 days prior arrival arrival date. Full Charge - Full Stay - If cancelled within 15 days of arrival prior arrival date. From December 22nd, 2019 to January 04th, 2020 the reservation is non-refundable. For reservations from December 22nd 2019 to January 4th, 2020 your card will be charged the full amount at upon providing you with a confirmation. This deposit is non-refundable. Full Charge - Full Stay - If cancelled within 15 days of arrival. From December 20th, 2019 to January 03rd, 2020 the reservation is non-refundable. All guests registering must be 18 years old or older and must present photo ID upon check-in. All guest must be registered at the front desk. Check in time is at 2pm and check out time is at 11am. In the case of late check-outs, a fee will apply for each hour after 11am, after 02:00pm the best available full rate applies. based on availability. Costa Rica Government 13% sales tax is not included in the room rate. Breakfast served in main restaurant is included in the rate. All reservations will be confirmed via email. All modifications or cancellations must be sent in writing via email to our reservations department (email: reservations@colinadelmarcr.com). Cancellation requests must indicate the guest's full name, reservation number, and the dates of check in and check out. Only registered guests are allowed in the hotel rooms. If wire-transfer is selected you must submit to Lodge Las Ranas a receipt of bank transfer via: reservations@lodgelasranas.com to gurantee your reservation. 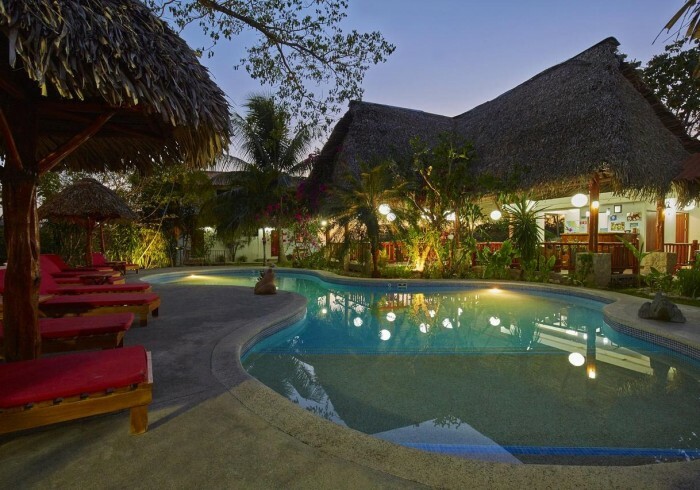 You’ll find many of the beach towns in Guanacaste, Costa Rica have become very popular since the opening of the Liberia International Airport (paved roads and only 90-min from Colina del Mar) - giving easy access to great beaches and crystal clear waters. You’ll discover Samara is quaint and doesn’t host big developments or large hotels, so if you are seeking a more authentic Costa Rica beach town vibe (and a huge world-class beach), you’ll love Samara! The main draw of Samara is its 3-mile long beautiful white sand beach (rare in Costa Rica) that has an island and protective reef offshore providing calm waters and great days on the beach. The small downtown is lively and full of restaurants, pubs, provisions and boutique shops. And of course, there is surfing, as a matter of fact in and around Samara you’ll find some of the best and most consistent waves in CR. So bring your board or take a lesson and you’ll have a blast! Another draw is its surrounding forest and wildlife. Unlike areas to the north, thick dry tropical forest surrounds Samara and hosts incredible animals, monkey’s and birds. Colina del Mar proudly boasts the best place to see wildlife as it is perched atop a small hill overlooking the Pacific Ocean (in Spanish Colina means small hill). Although Samara has all the amenities of some bigger beach towns, it still has a great local vibe and small beach-town feel versus the crowded, noisy and busy larger towns along the coast. Here, the Pura Vida vibe is alive and thriving.